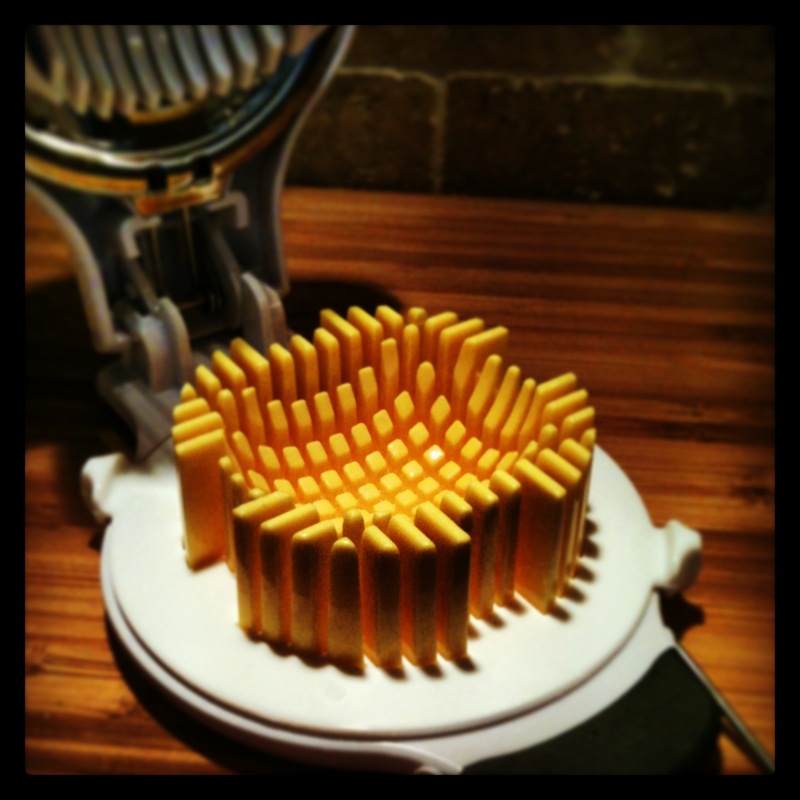 For the second installment of my “cool stuff in the kitchen” series, I present my egg slicer. I realize a little device that slices hard boiled eggs may not seem very cool, but this one is pretty unique. In addition, as I have attempted to adopt an Alton Brown-esque distaste for unitaskers, I also use my egg slicer to slice mushrooms and other soft items that I want to have in uniform slices. This particular model has some nice features that make it stand out from other similar products. Most importantly, the base that cradles the egg rotates. You may notice that the base is a grid, which allows the wires of slicer to come through the base from two different angles. One slice produces standard slices. 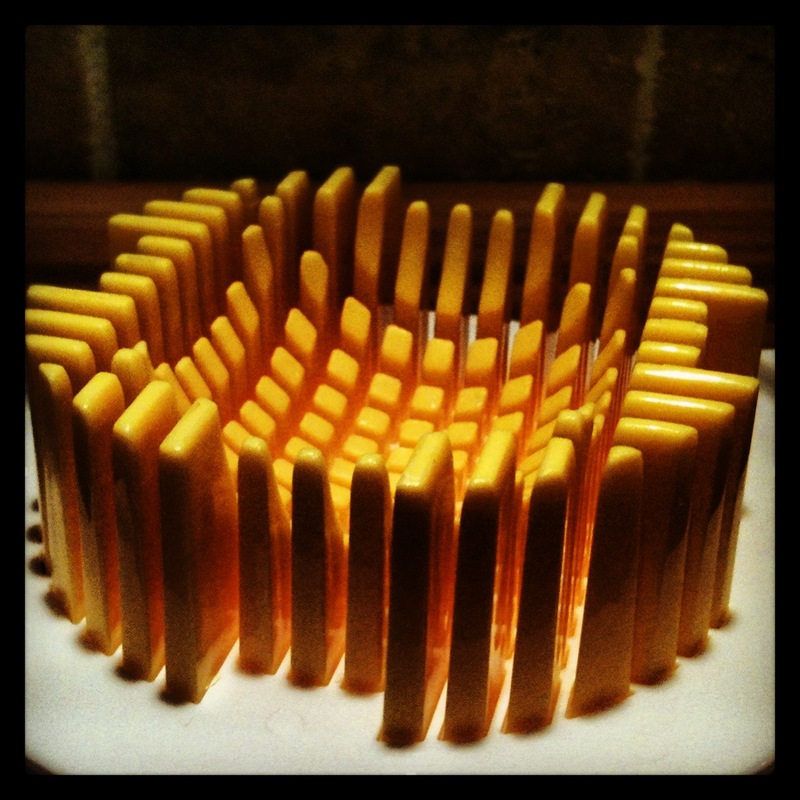 Rotate the base and slice again for sticks. Rotate the whole egg after two slices and a third slice produces neat, uniform cubes, perfect for egg salad. Speaking of egg salad, I think it is a highly overlooked Lenten lunch alternative to tuna or PB&J…and this clever device makes it a breeze. 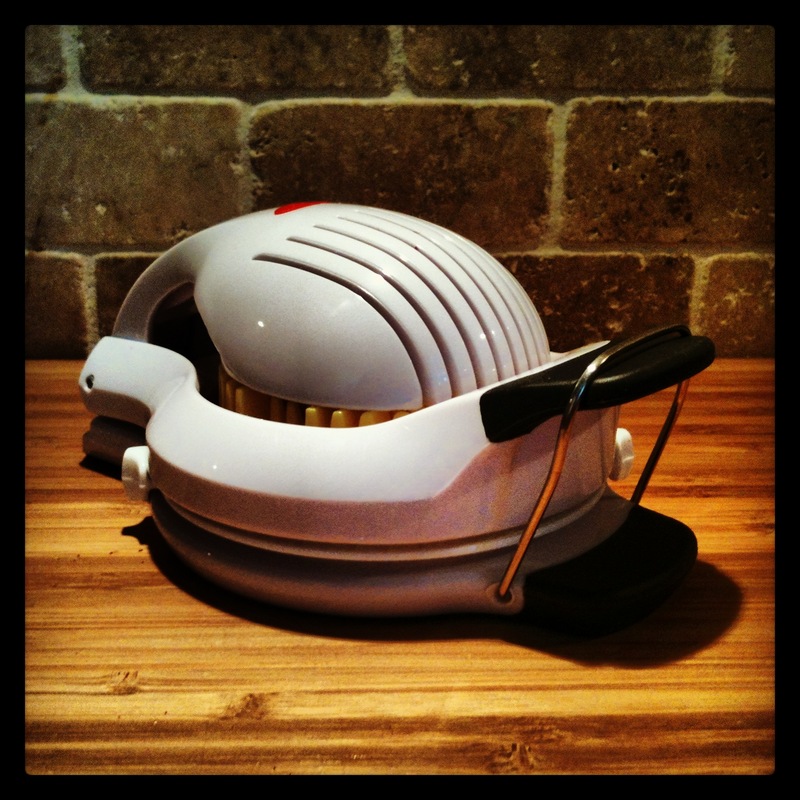 In addition to the rotating base, there is also a white plastic grid below the yellow pieces that lifts up, making removal of the sliced/diced egg easier, and expediting cleanup of the slicer itself. I get a lot of use out of this little guy, and I highly recommend it to anyone looking for a slicer. 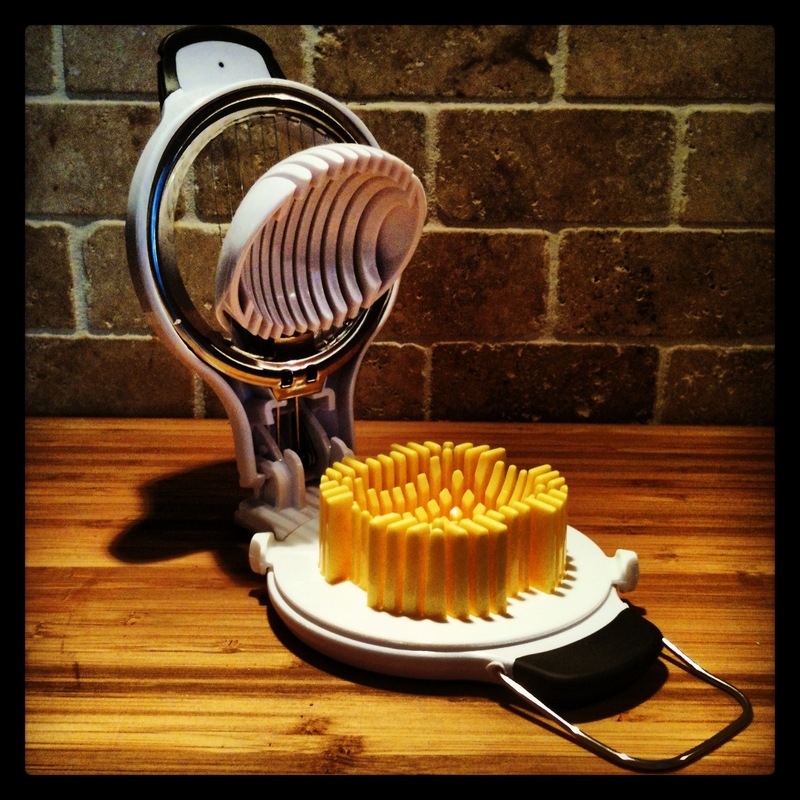 What brand is the rotating egg slicer that you highly recommend? I would love to have one! Just means that the comment gets reviewed to see if it’s a person. A lot of comments are just automated advertising, so those get weeded out. I’m pretty sure it’s an Oxo. The majority of my gadgets tend to be Oxo since they make some unique stuff that lasts forever.